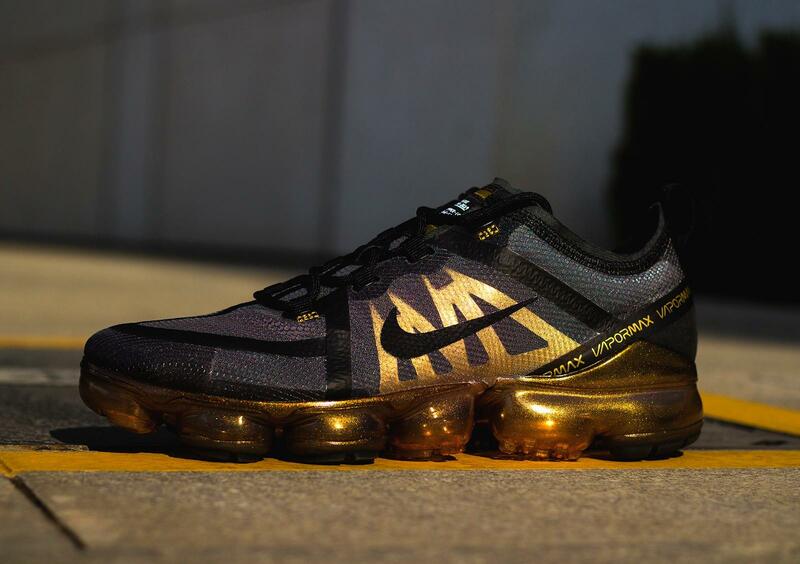 I remember clearly that Nike VaporMax was one the most popular topic for sneaker fans in 2017. 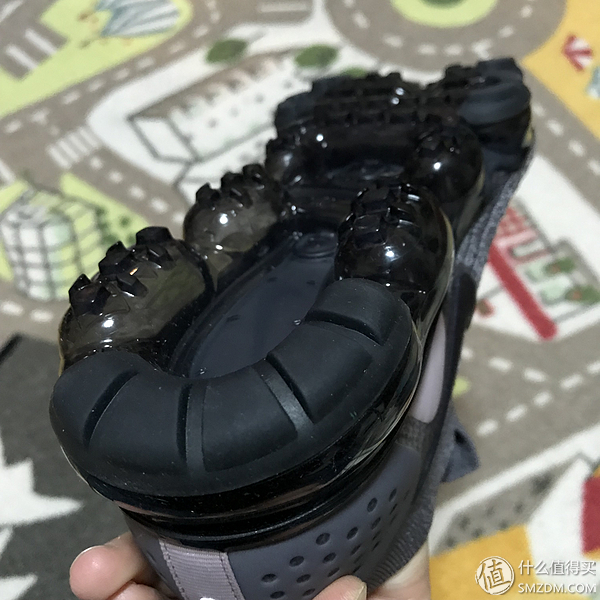 As the first pair of pure air cushion suspension outsole sneaker, surely VaporMax has fully caught people’s attention. 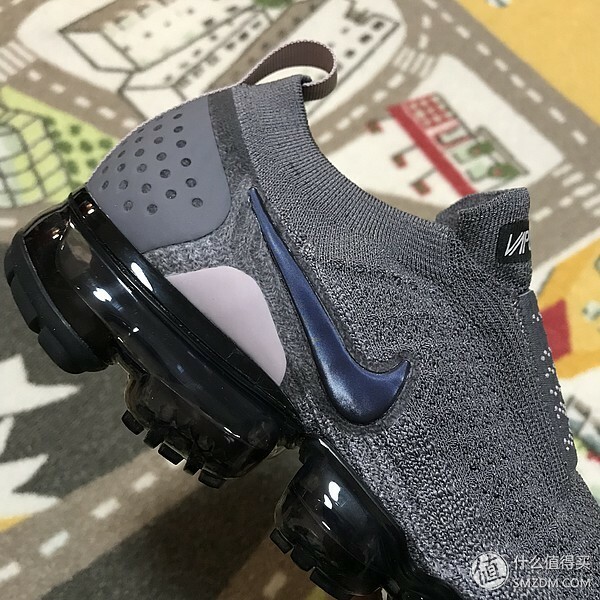 However, this time VaporMax 2019 releases quietly for the upcoming of the New Year. 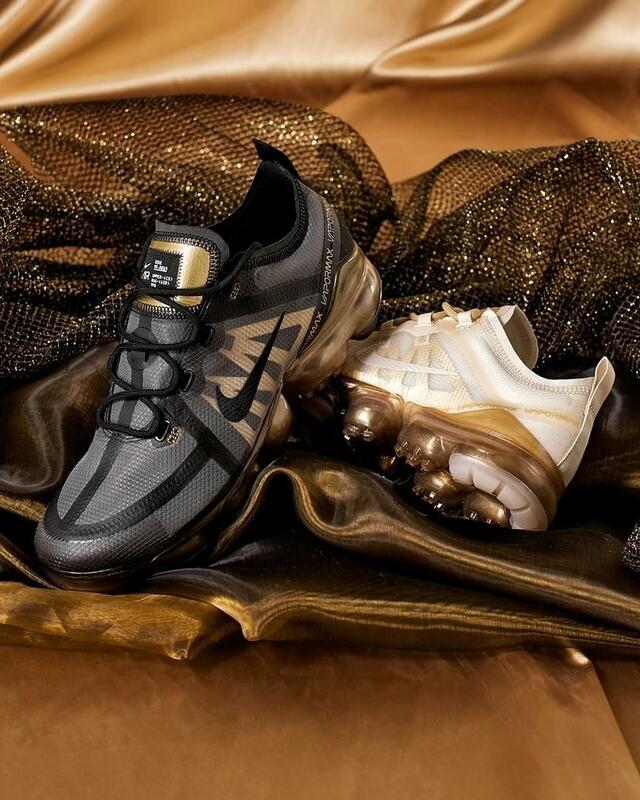 According to some official news that VaporMax 2019 ‘Black/Metallic Gold’ is set to drop on January 1 for $190. 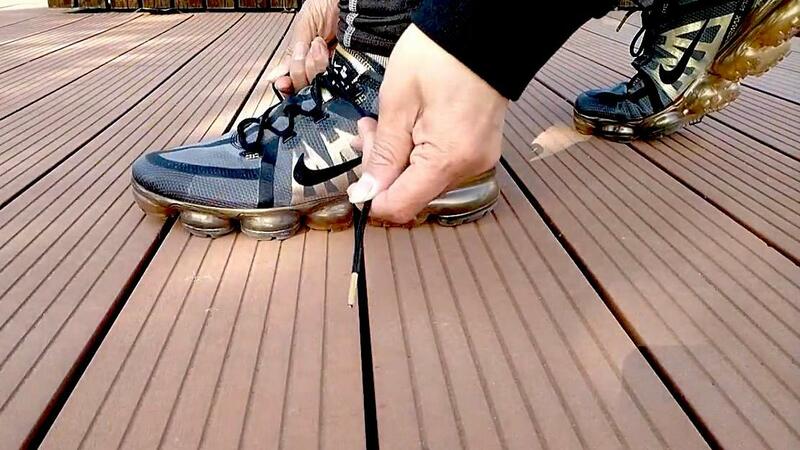 Next take a look at the shoe at length. 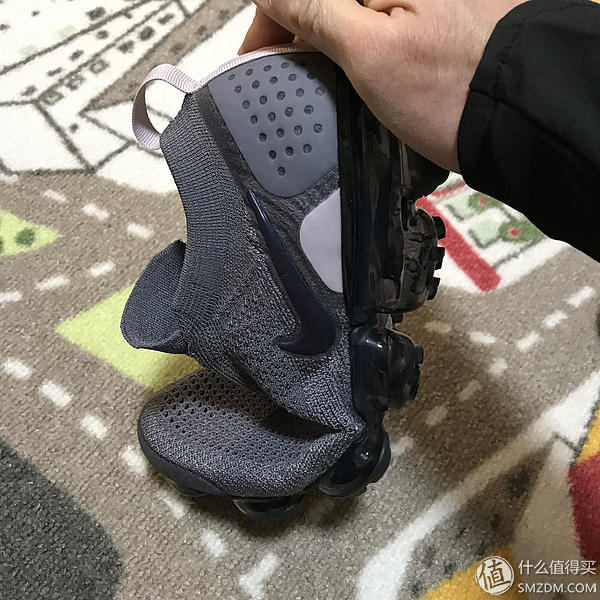 Compared with VaporMax, Nike has also installed the same suspension outsole in VaporMax 2019. Aesthetically pleasing to the eye as it is, the amazing feeling does no longer exist. 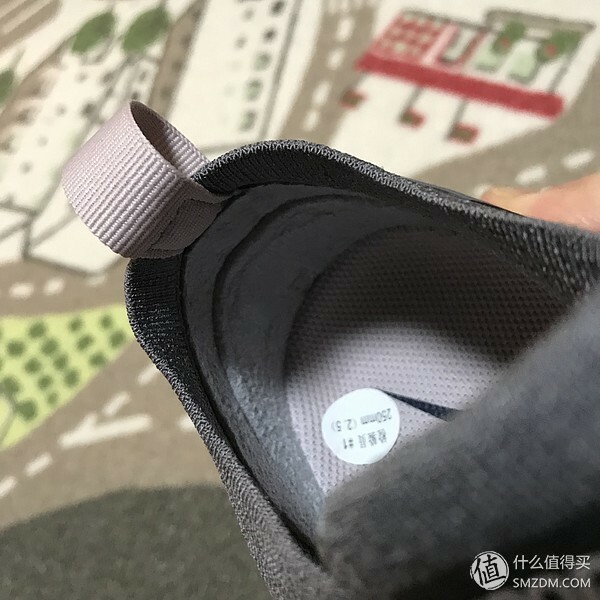 Maybe it is because the outsole is super excellent so that Nike does not make any change in this aspect. 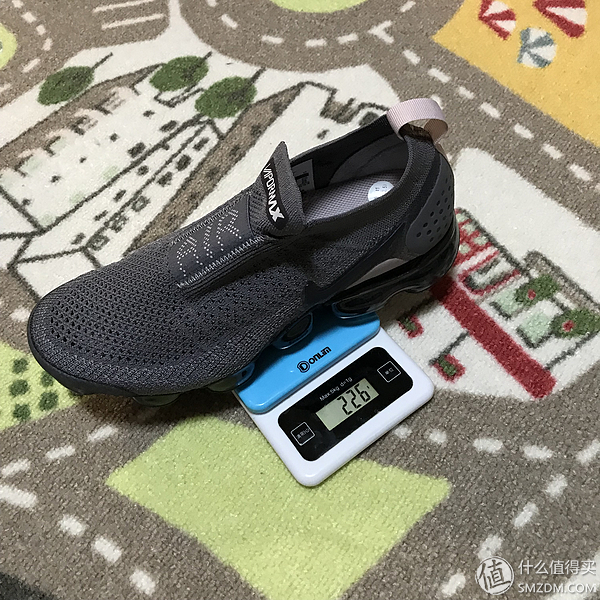 But on other hand, the Air VaporMax 2019 is similar to the VaporMax Run Utility in that it has a TPE translucent stretch-woven upper and it also has a TPU offering support at the heel. 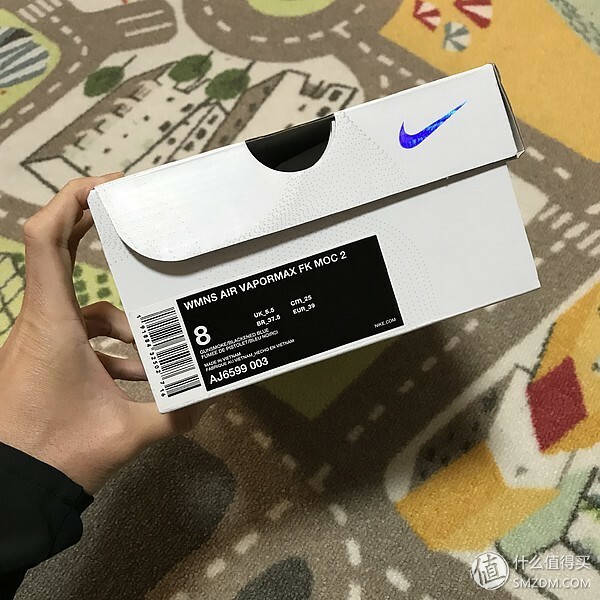 For the shoe box, there is no much difference between the two versions. 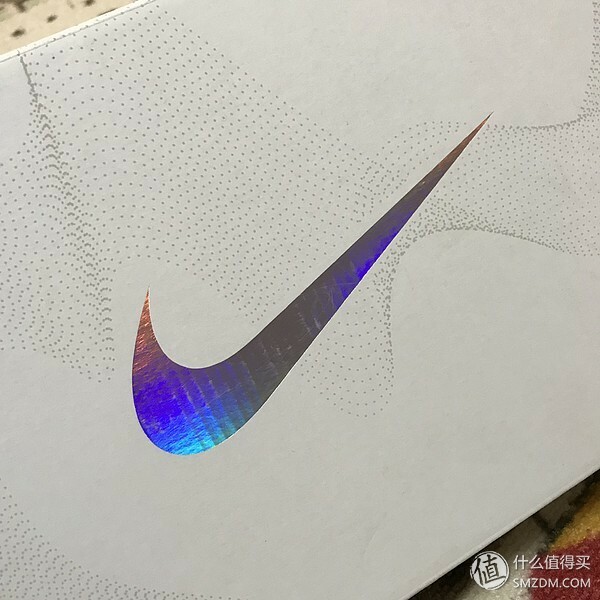 Still, in the middle of the box lays the iconic logo whose color changes as light shines from different angles. 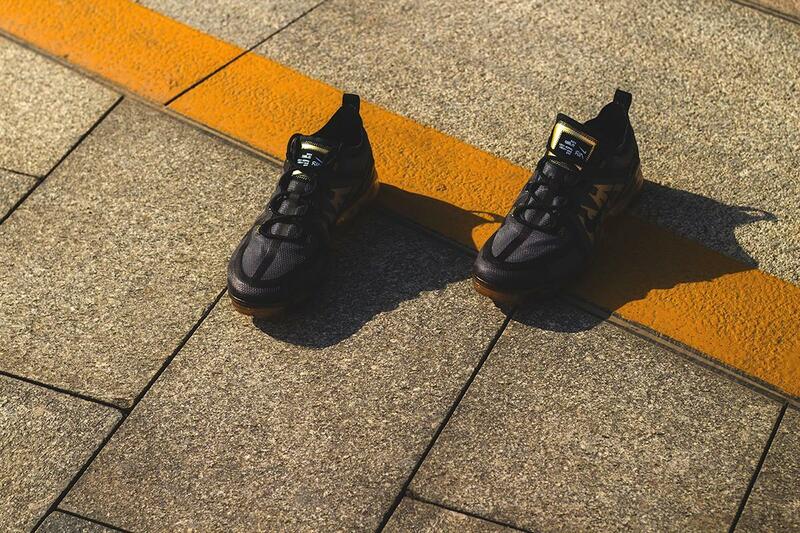 Today’s protagonist is this ‘Black/Metallic Gold’. For the colorway, from my own perspective, not only is it aesthetically pleasing, but makes it easy for you to match your daily dressing. 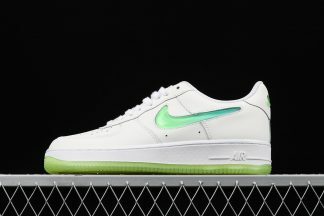 As for the other colorway, it looks nice as well. But the above are my personal view and after all, everyone has his/her own opinion. Below are some picturesque images photoed from different angles for you to appreciate. With respect to the shoe’s performance, I would like to talk about the traction first of all. 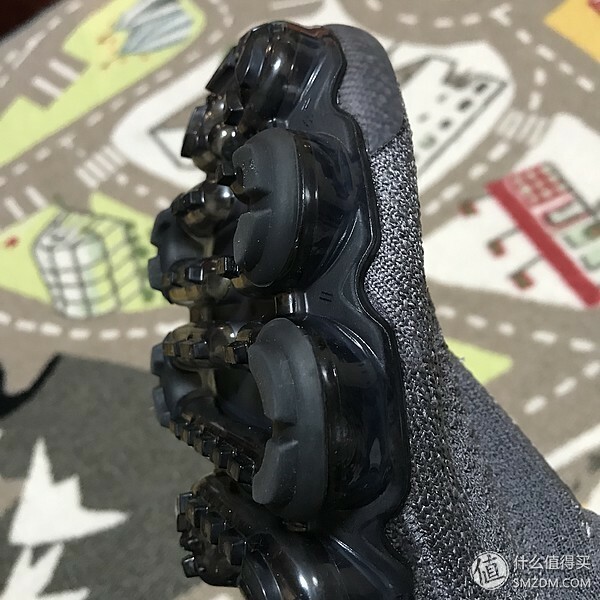 Well, you know that VaporMax 2019 totally inherits the outsole of the last version; therefore, all the shortcomings that VaporMax owns can be found in VaporMax 2019 as well. 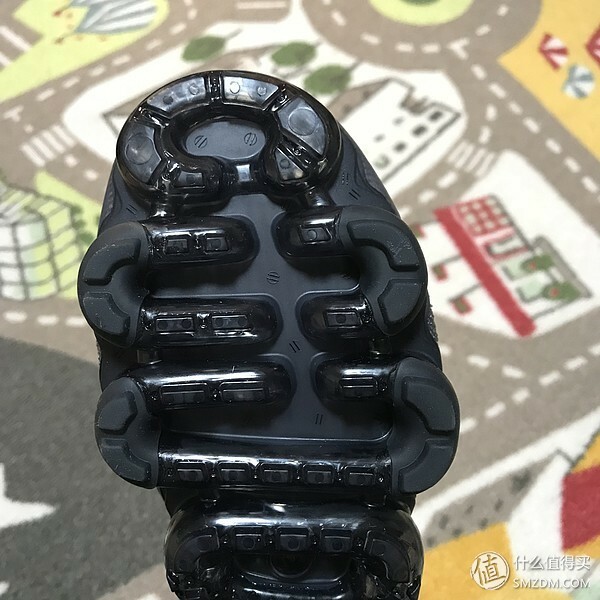 Lacking the rubber’s flexibility and friction with courts, a great part of the outsole are exposed hard plastic nails which are directly in contact with ground, thus making it hard to grip on smooth grounds. 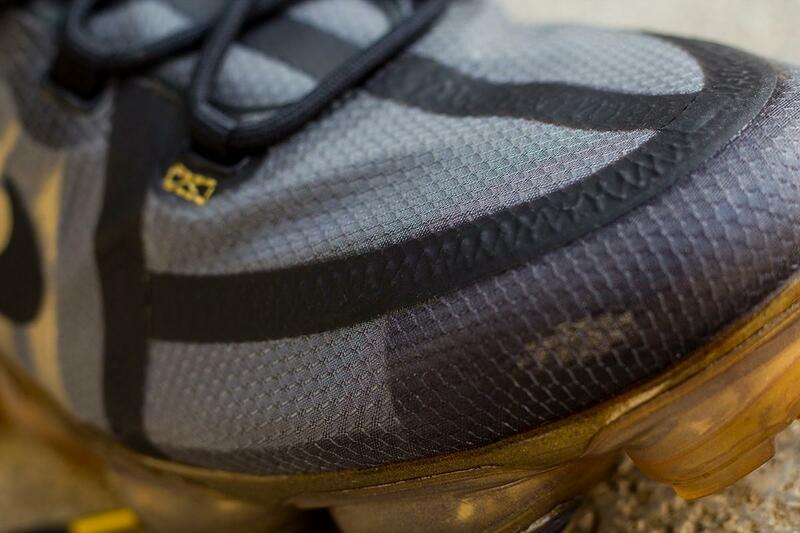 On top of that, there are big grooves in the outsole, attracting small gravels or any other things. However, good news is that dust or not dust, the grip wouldn’t be affected and if you are quite into relatively clean courts, well, things are looking up. 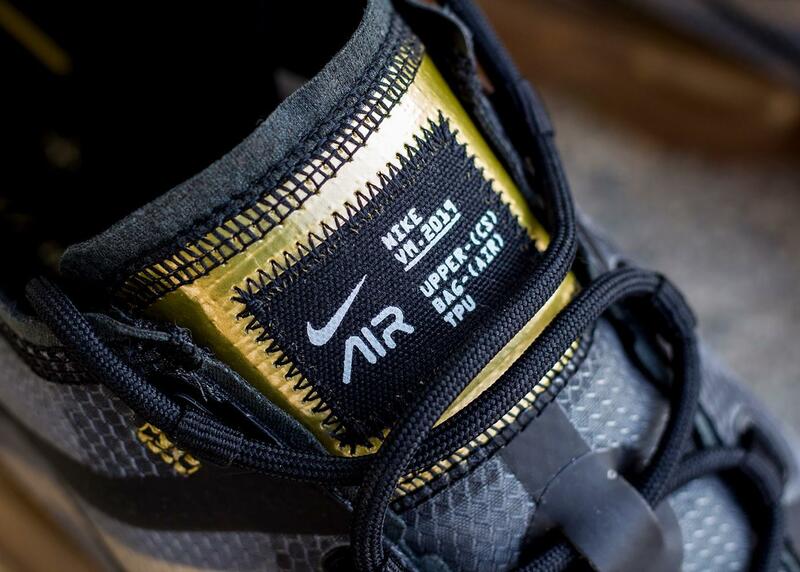 There is some information of the shoe printed in the gold shoe tongue. 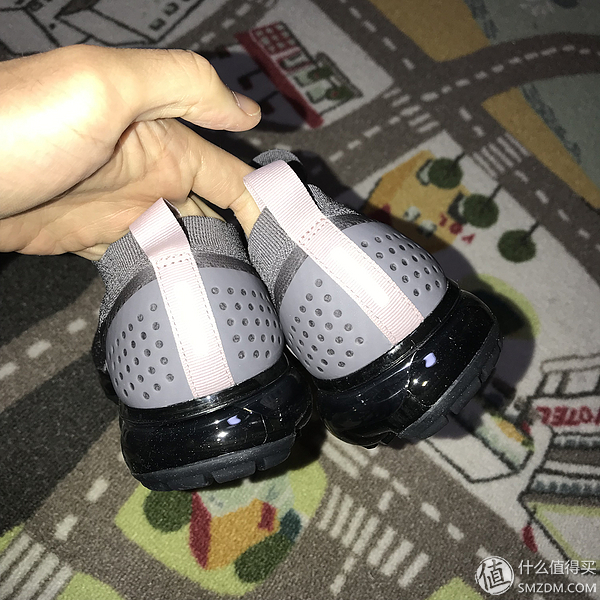 The upper, a TPE translucent stretch-woven one, along with the thick rope laces secured by plastic pieces that is not Flywire, greatly improves the shoe’s wrapping and support. 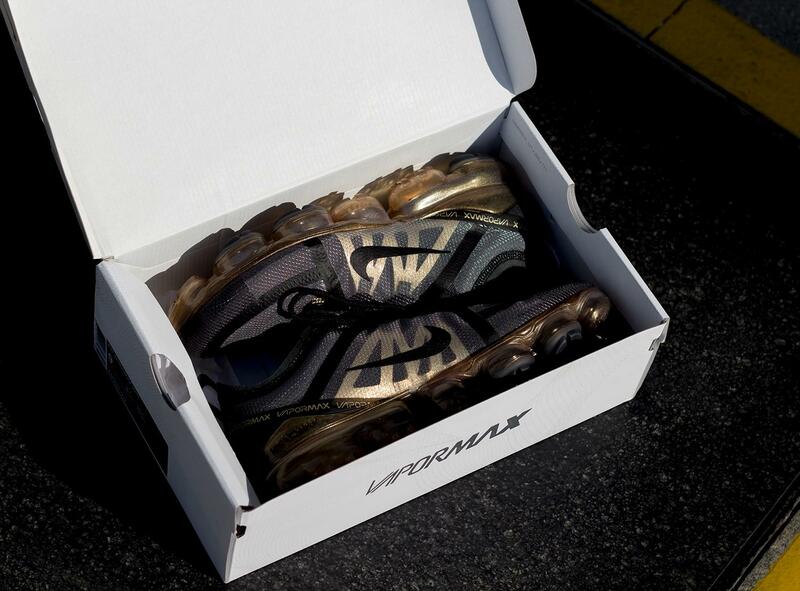 The upper that is made of harder materials is more durable than the previous version. Flexibility and stability are ensured at the same time. 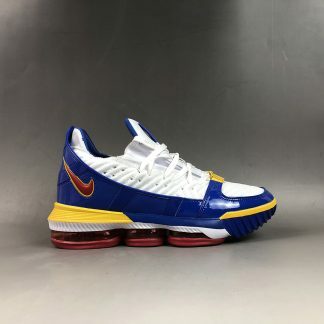 It wraps your feet well, so you can just try your best on court and need not worrying about slipping for the shoe offers you lockdown and makes your feet lay steadily in the footbed. 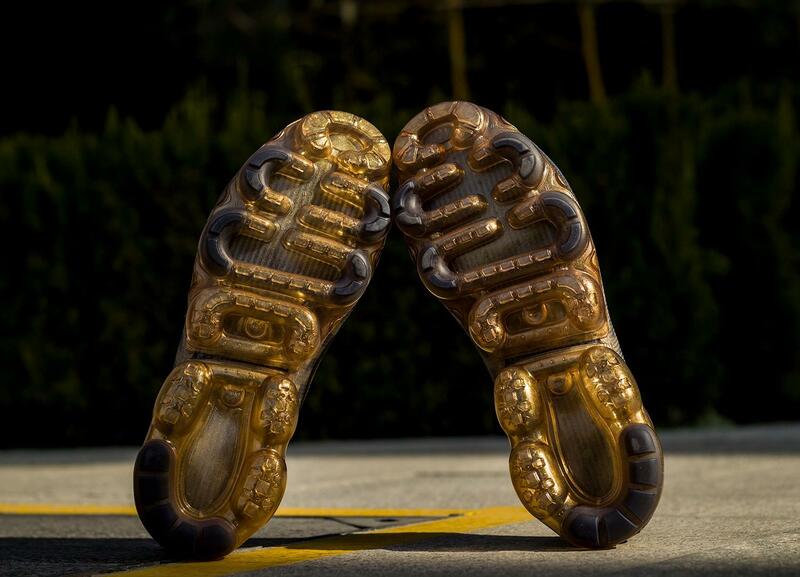 Rather than being made of metal though, the gold lace head still looks very nice, isn’t it? 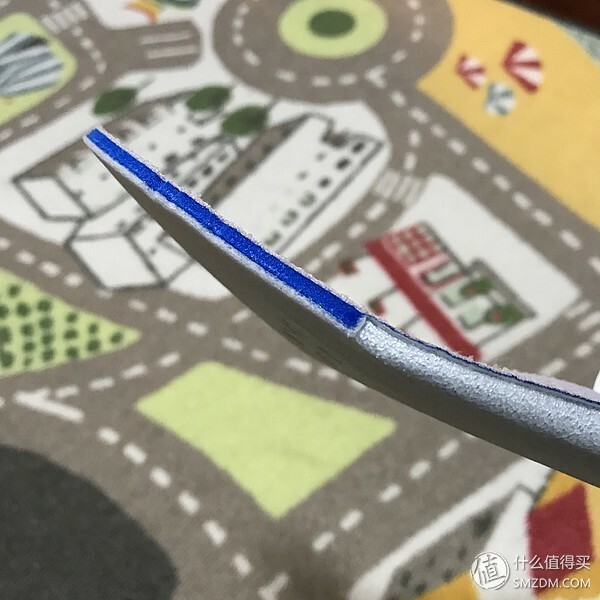 The support is better, but after some playing maybe your initial play, you’ll find the upper easily wrinkled which means folds are inevitable. Comfortable as it is, a pair of socks is necessary. 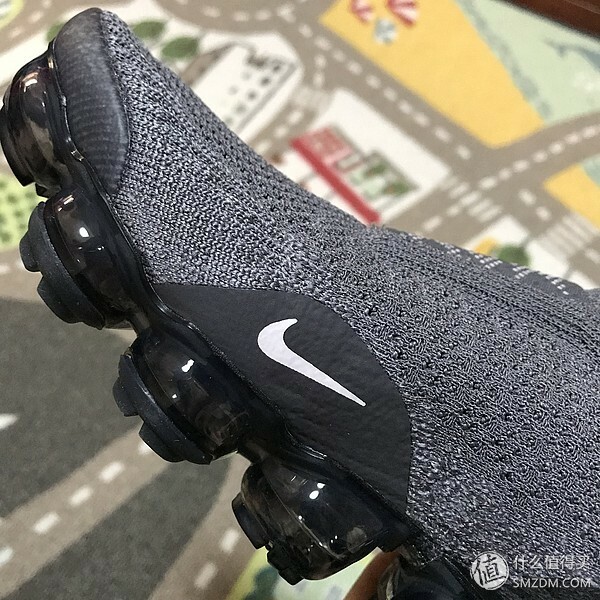 For its cushion, there’s an Air VaporMax unit for cushion underfoot so expect a comfortable ride, regardless of where these are taken. 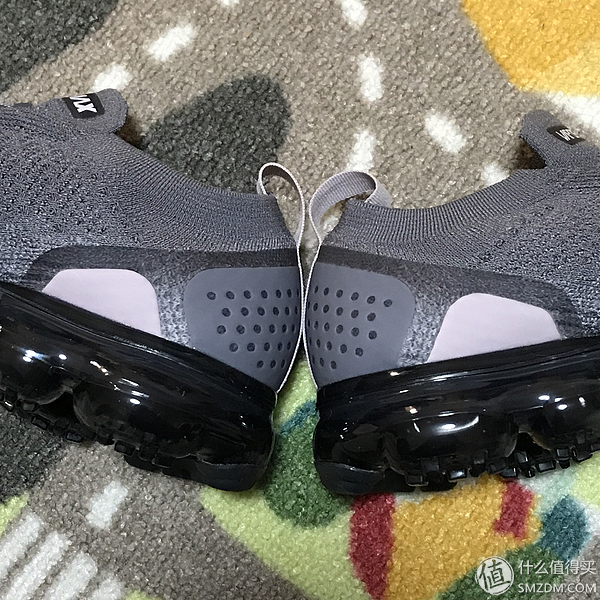 Besides the cushion setting, I’ve tested VaporMax and the VaporMax 2019. 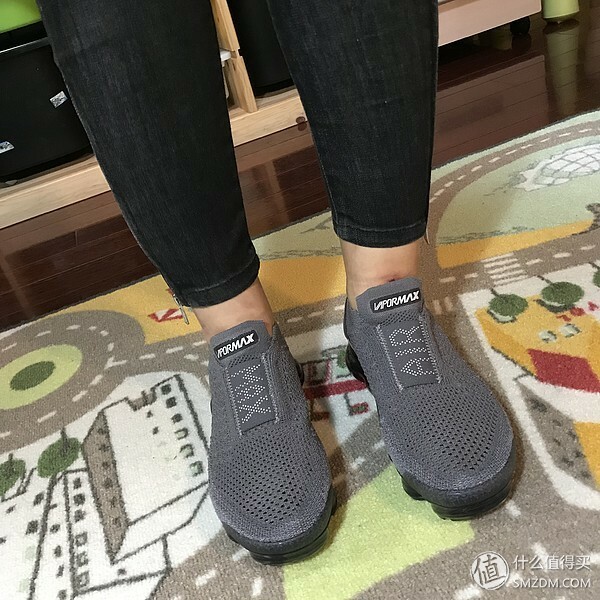 On a personal level, if it were not my illusion, then the cushion performance can be influenced by temperature: in summer I felt the cushion performed better while in winter, the bouncy feeling and feedback both declined. 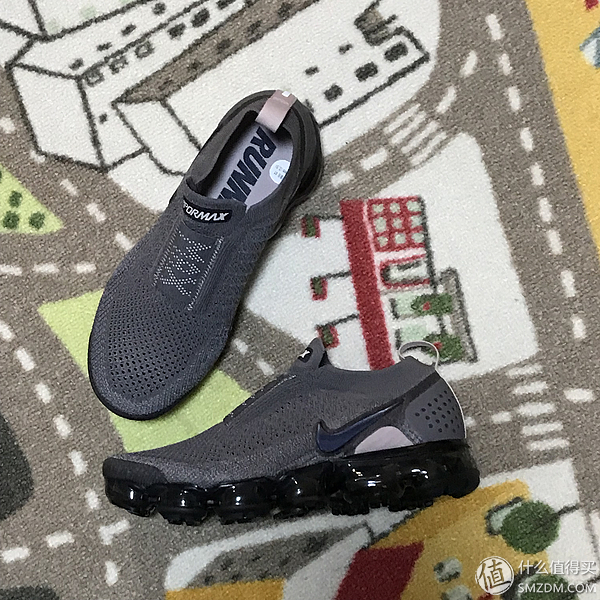 During my running on VaporMax 2019 recently, it gave me a feeling that the cushion is progressive, so it is likely that you’ll feel it unfriendly at first. 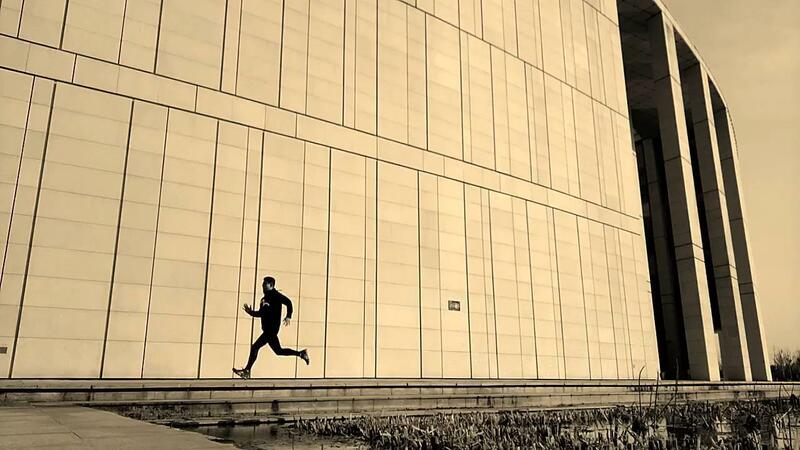 The moment my shoes touched the ground I felt the springy feeling I was always running after. 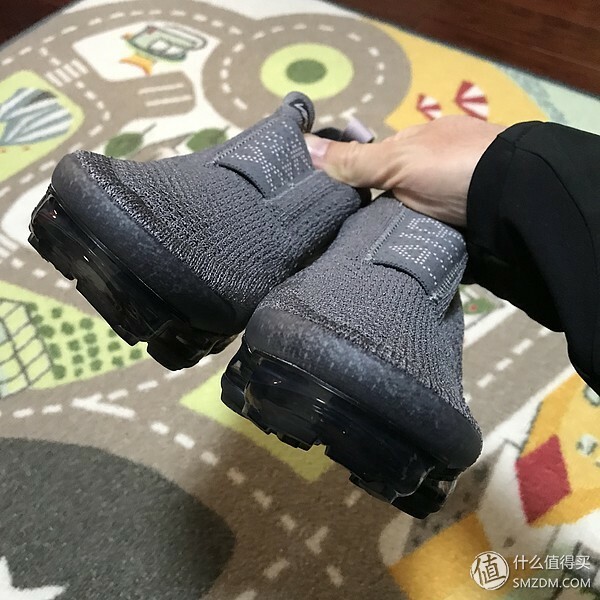 If compared with traditional foam cushion sneakers, I should say VaporMax 2019 is not superior at all. 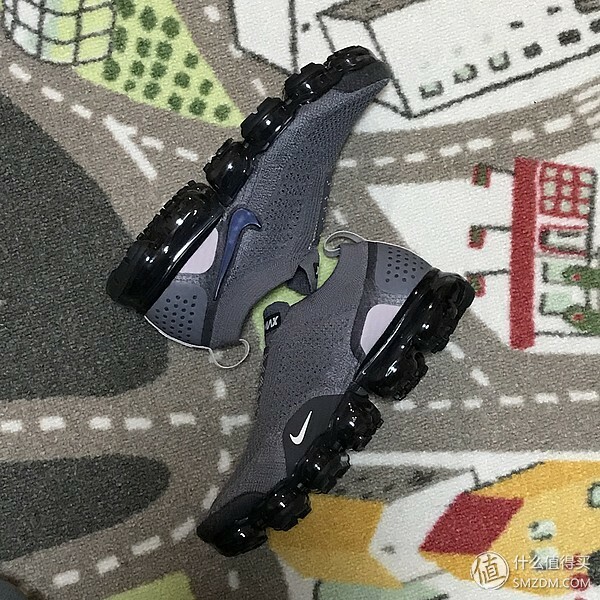 For those who never try VaporMax before, some time to adapt to it is needed. 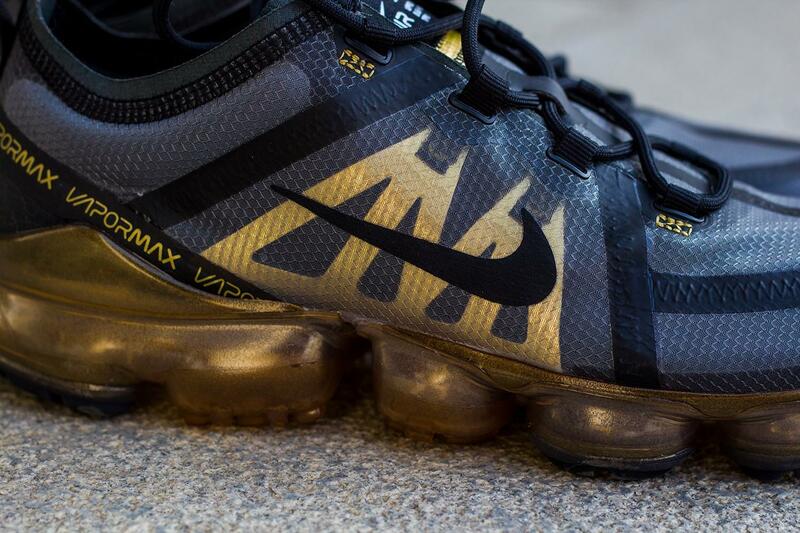 Well, yes, there are slight changes in VaporMax 2019. 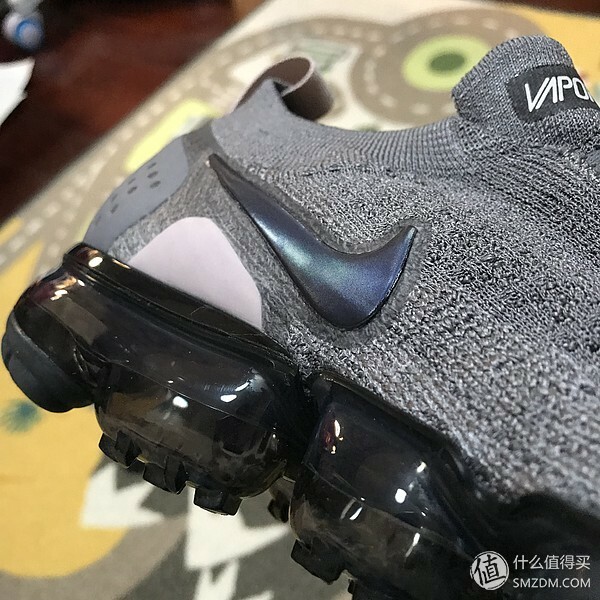 But it is these slight changes that distinguish VaporMax 2019 from the others. Lastly, the fit. Objectively speaking, it is not bad. 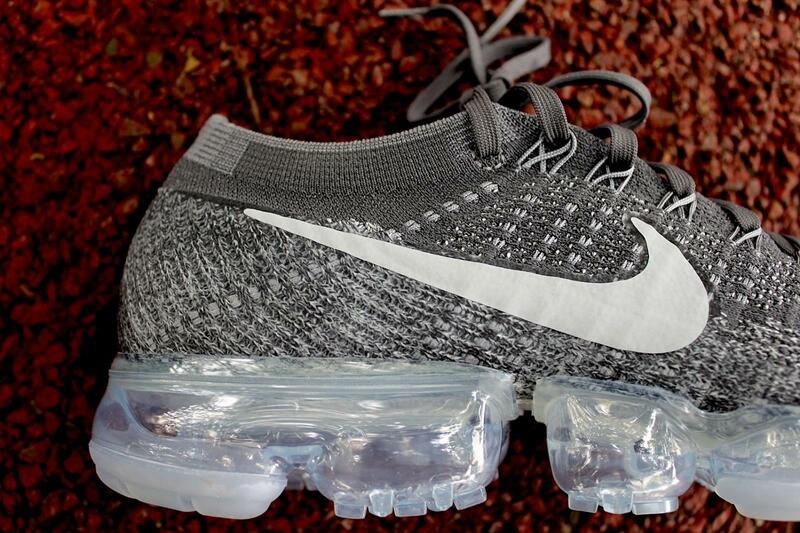 If you’ve tried VaporMax before, you can know the fit well. 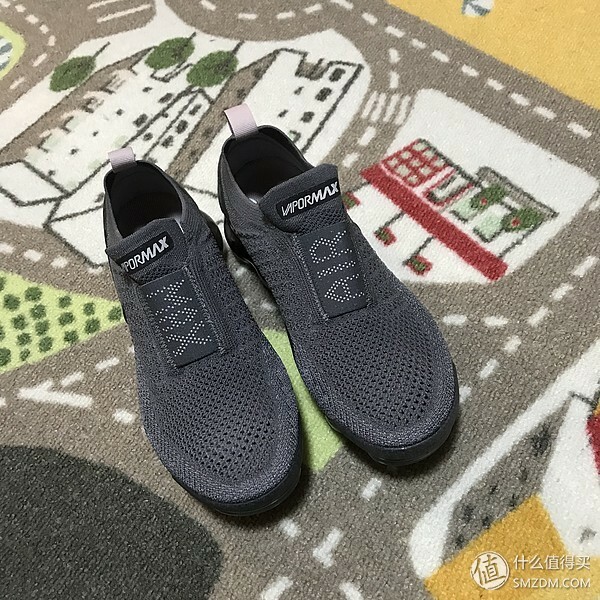 In other words, had VaporMax fit you snug well, then VaporMax 2019 fits you nice either. 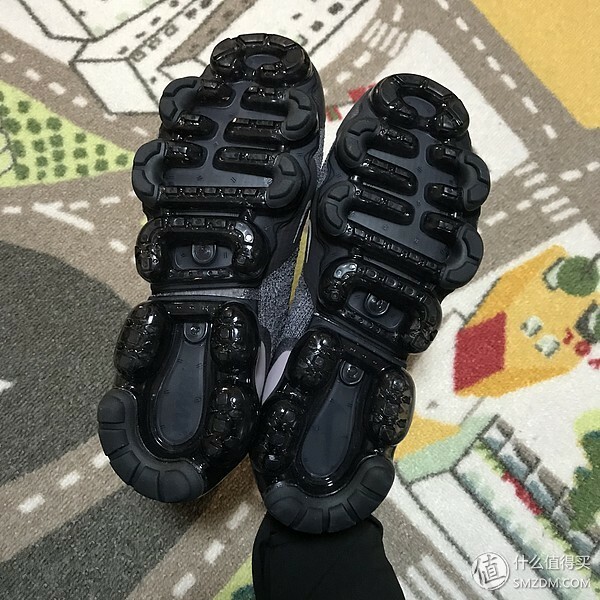 The stability, support and wrapping are all superior to the last version, so wanna to get a pair? 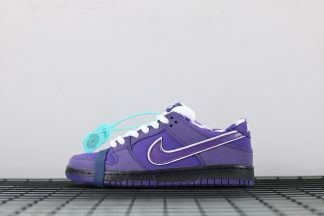 With its availability on Nike.com and all Nike retailers, you are accessible to this build and you’ll get a splendid experience. 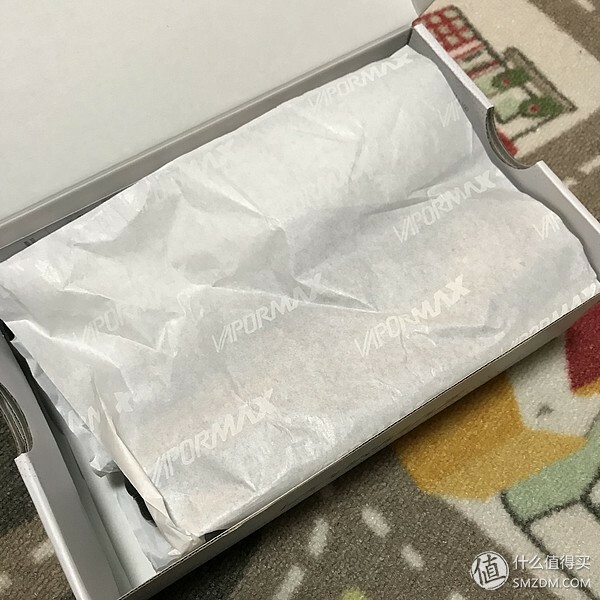 Nike debuted its Air Max sneaker in 1987, featuring a visible air-cushioning unit in the sole designed to absorb shock and—more importantly, some may say—look really cool.I bought a shoe to my. girlfriend . Now we will look at it closely. 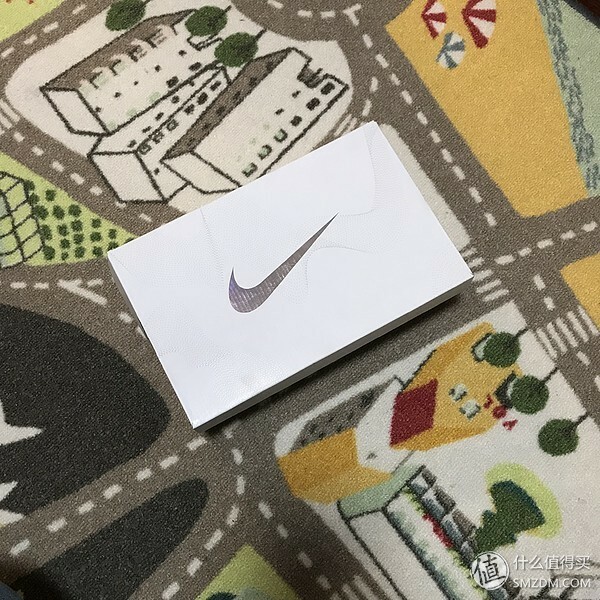 Most of the vapormax series of shoes use a white shoe box, and the hooks on the shoe box are also large. 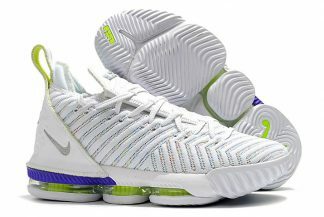 This latest silhouette features plush Air Max cushioning across the entire foot and Nike’s ultra-flexible Flyknit upper. The first thing I noticed when I put the shoes on was how comfortable they felt. I took a few bounces in them, and was also impressed by their light-as-a-feather feel. 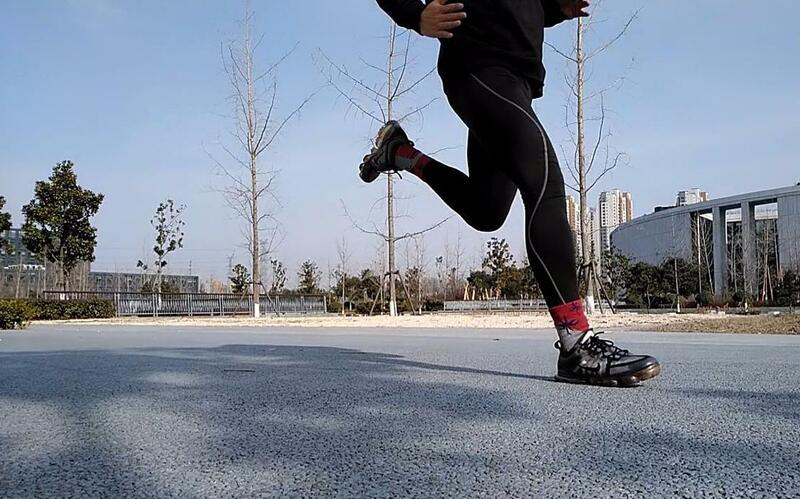 As I started my run, I was amazed by how bouncy they felt—it was as though I had lined up a bunch of trampolines and leapt from one to the next. 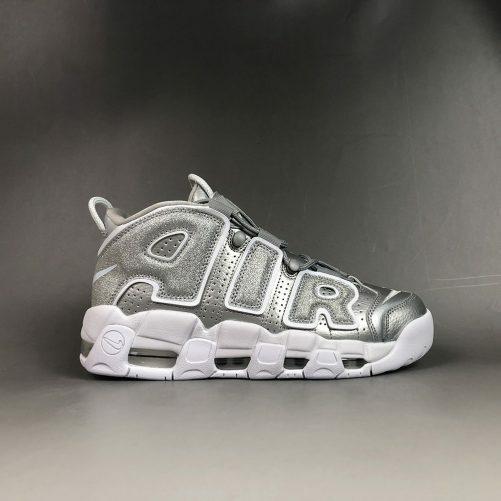 If you are a fan of Nike Air, are in the market for a new pair of kicks, and are cool with a bit of a splurge, then I would definitely consider these. 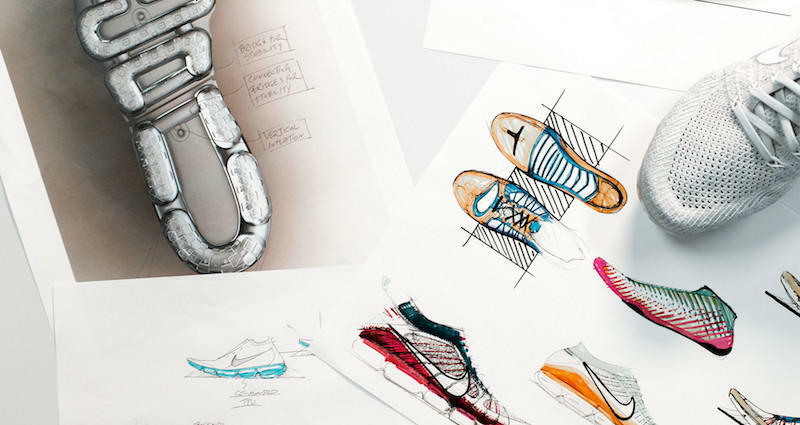 They’re light, bouncy, and flexible—and they have 30 years of design innovation behind them. Sounds like a winner to us! I took a few bounces in them, and was also impressed by their light-as-a-feather feel. 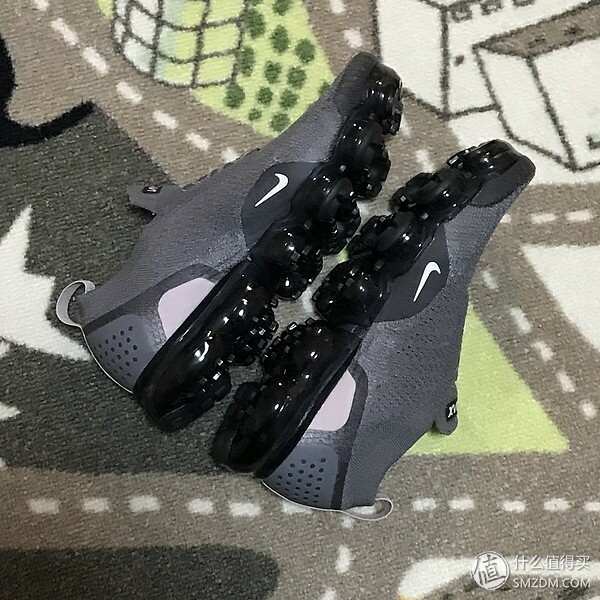 Air VaporMax’s upper is much better. 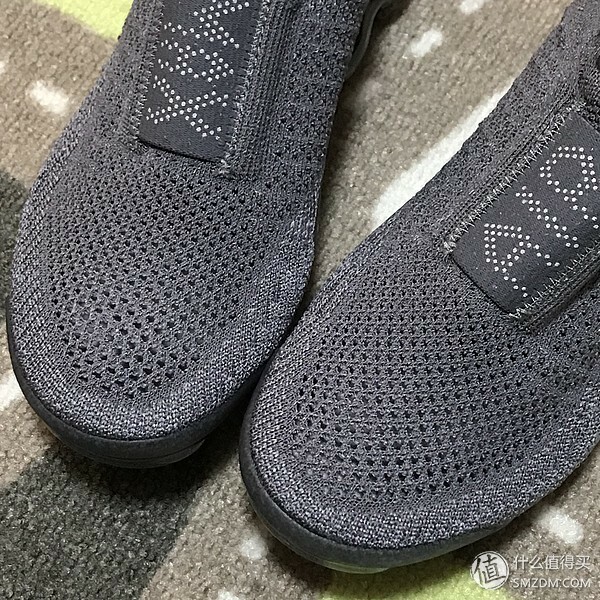 Flyknit’s one-piece woven upper and Dynamic Flywire’s dynamic flying line technology are Nike’s signature upper technology, so the fit and stretch of the entire upper is naturally feeling . 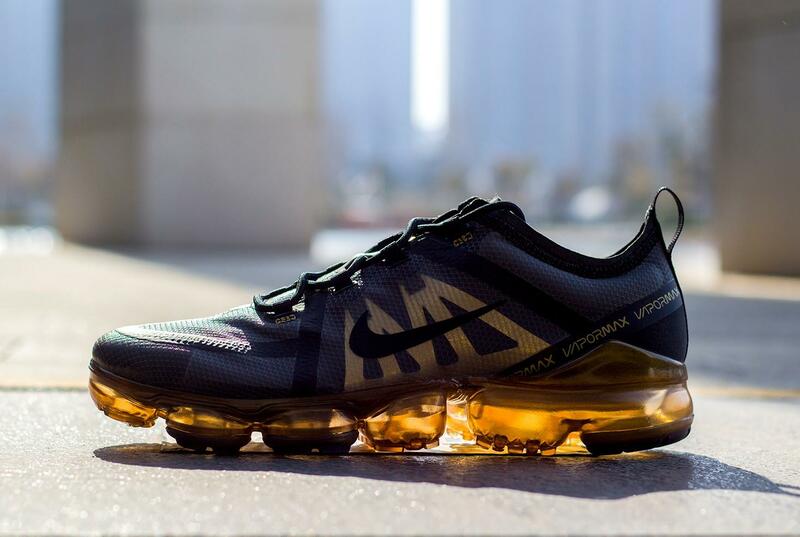 To be honest, the first time you wear Air VaporMax, you will feel a stiff feeling that you have never had before. 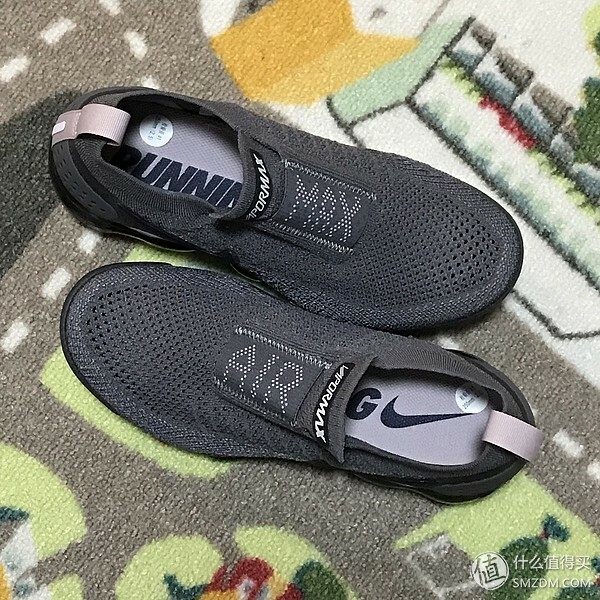 Because there is no flat foam midsole transition, the feeling of directly stepping on the air cushion is still somewhat different. 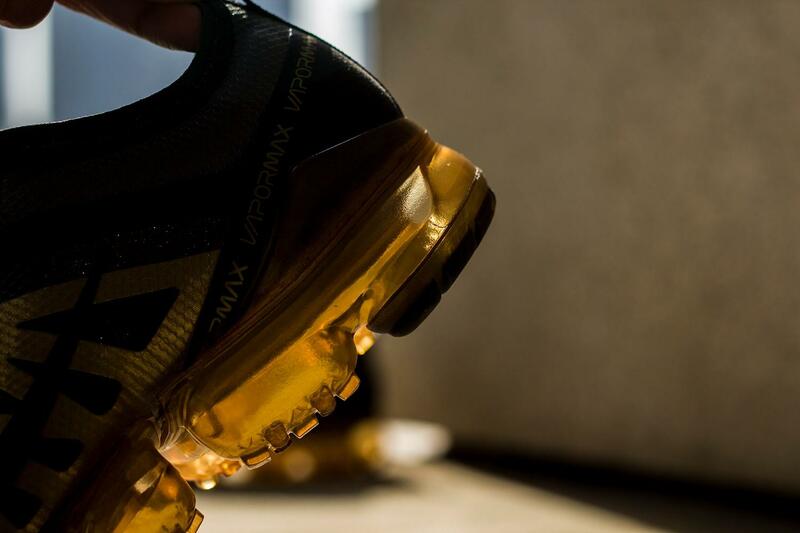 In particular, the air cushion of the forefoot is hard, and the exaggerated design of the large groove of the sole is sometimes suspected of stepping on a pair of football spikes. This strange feeling takes a while to adapt. 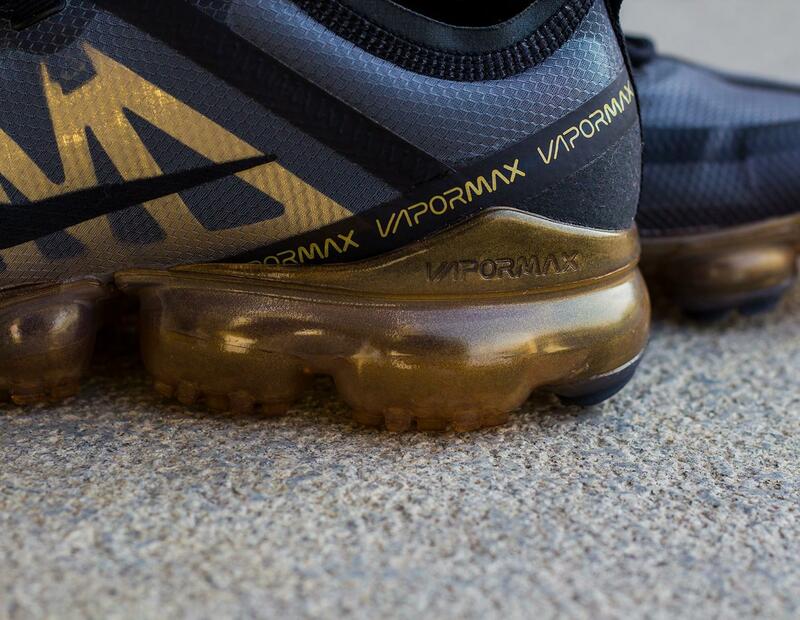 After running through, Air VaporMax is lighter in overall walking feel when walking or running. 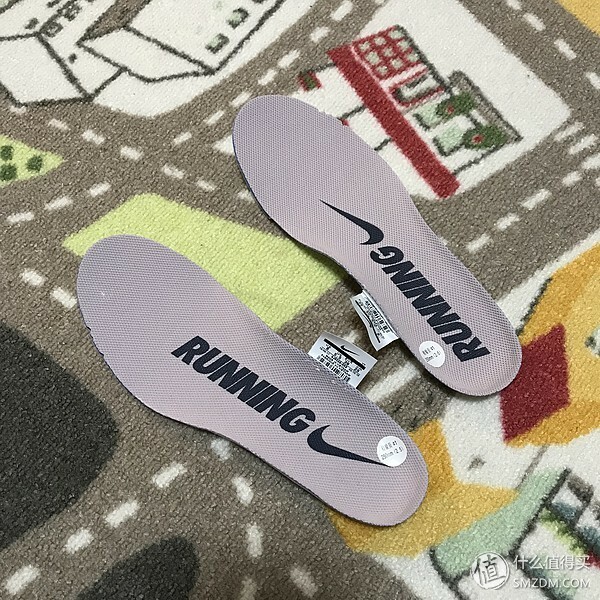 For traditional running shoes, because of the existence of the solid midsole, the supporting part is often directly visible to the naked eye. 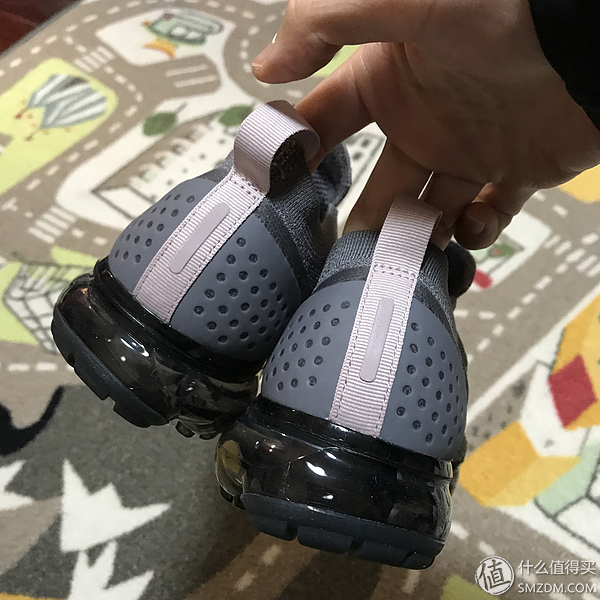 However, for Air VaporMax, the air cushion is invisible and runs for the wearer. Psychologically easier to feel insecure. 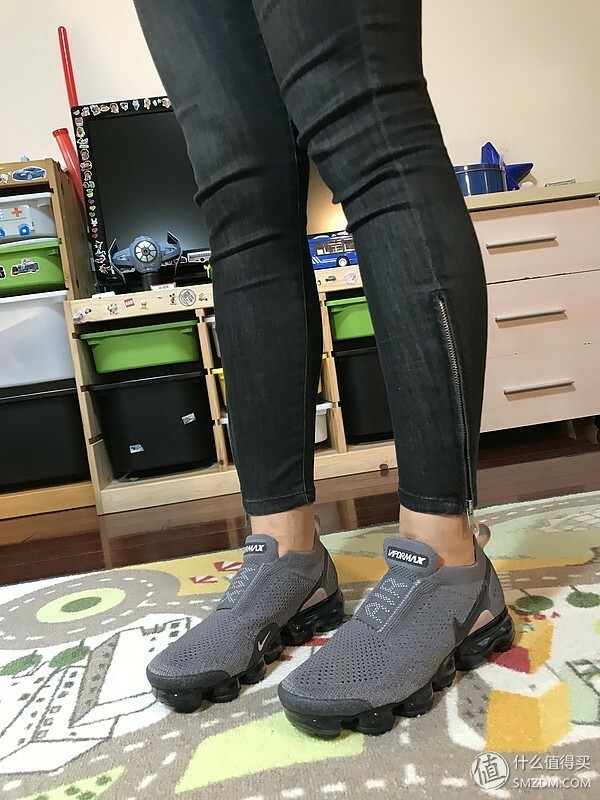 New VaporMaxes, like I’m being propelled forward a teensy bit—and there’s no strain or annoying rubbing anywhere. The only thing I’m worried about is whether something sharp will pop one of the air bubbles. 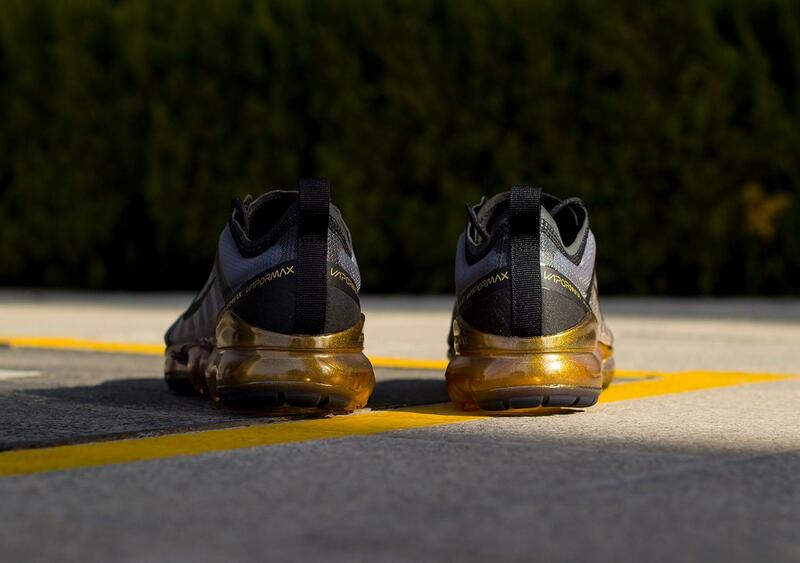 After I lace them up, I do a slow jog down to the mirror. 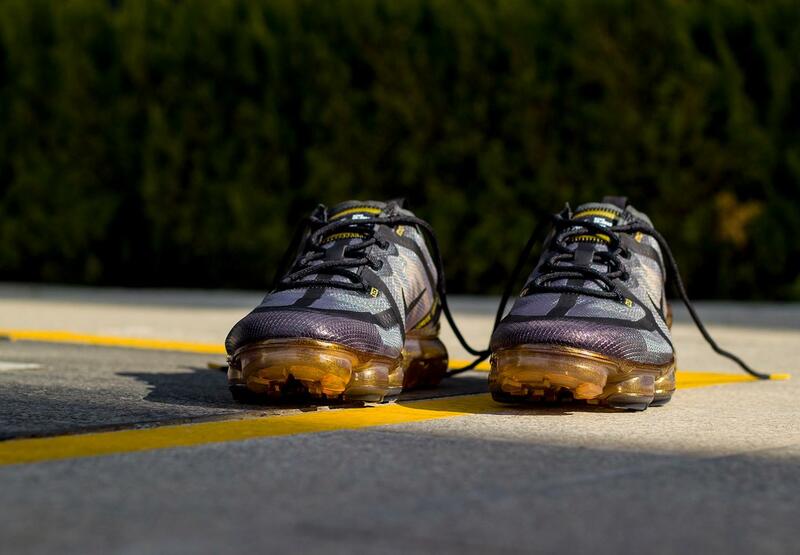 It feels…bouncy, like jogging on a trampoline. 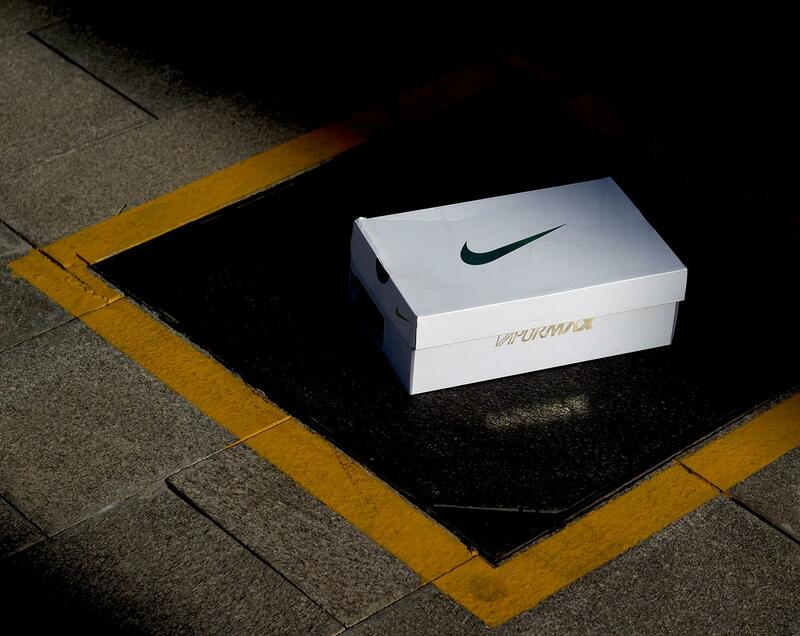 “The idea is to help give you a spring forward when you run,” the Nike employee explains. It definitely feels different, but the more I test them out, the more I like them. The first thing I noticed when I put the shoes on was how comfortable they felt. I took a few bounces in them, and was also impressed by their light-as-a-feather feel. 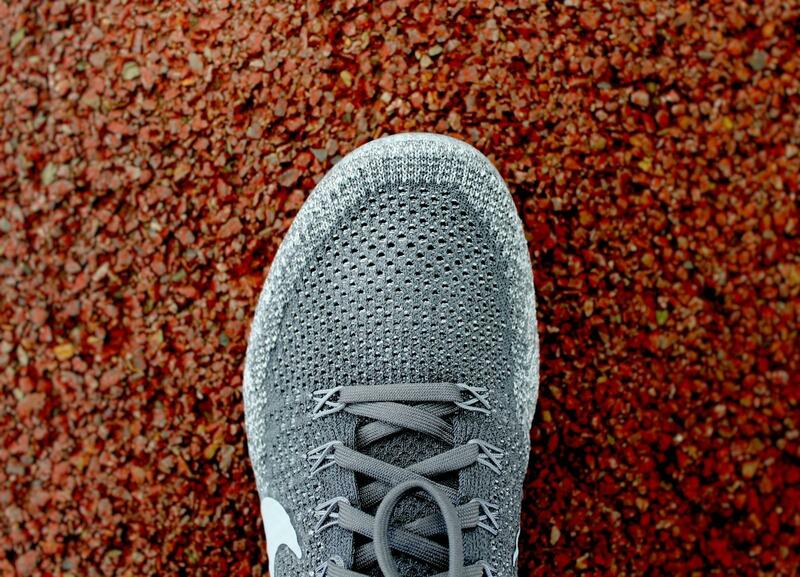 As I started my run, I was amazed by how bouncy they felt—it was as though I had lined up a bunch of trampolines and leapt from one to the next. 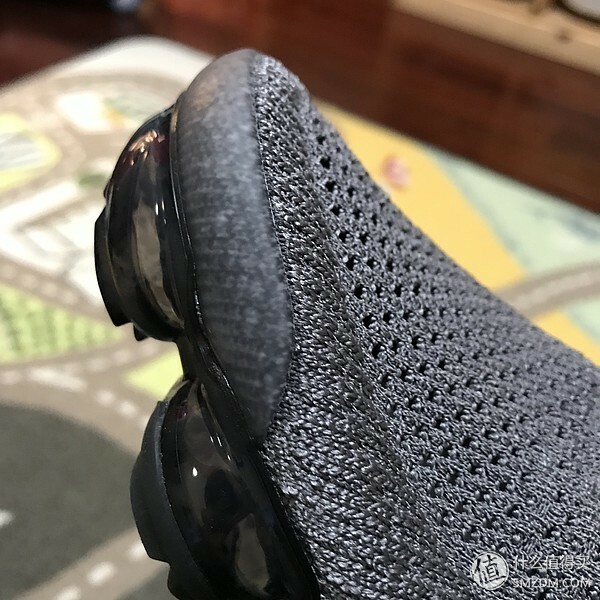 The cushioning system is especially notable for its lack of foam—the traditional midsole is gone and the Flyknit upper sits directly on top of the Air bag. 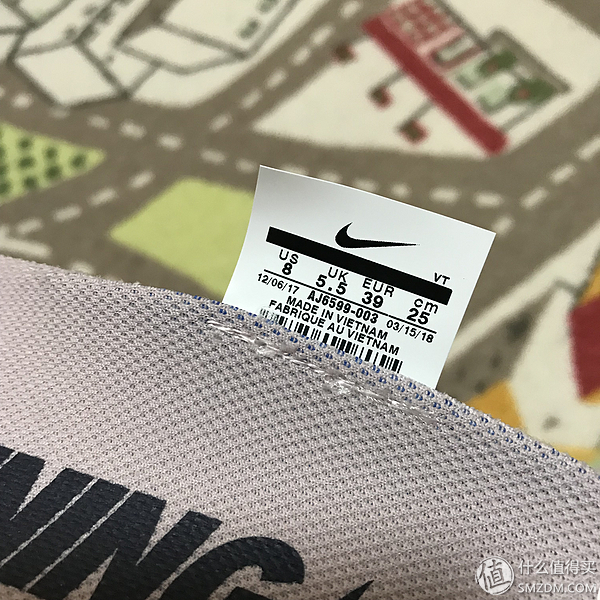 In removing a layer separating the foot and the sole, Nike hopes to address a design issue that’s been there for years. 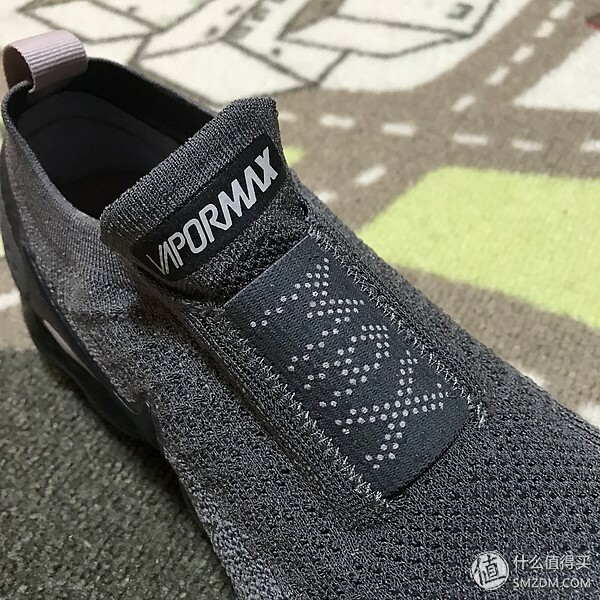 As a running shoe, Air VaporMax is indeed supported, and the feeling of this support is also obvious during the actual running. 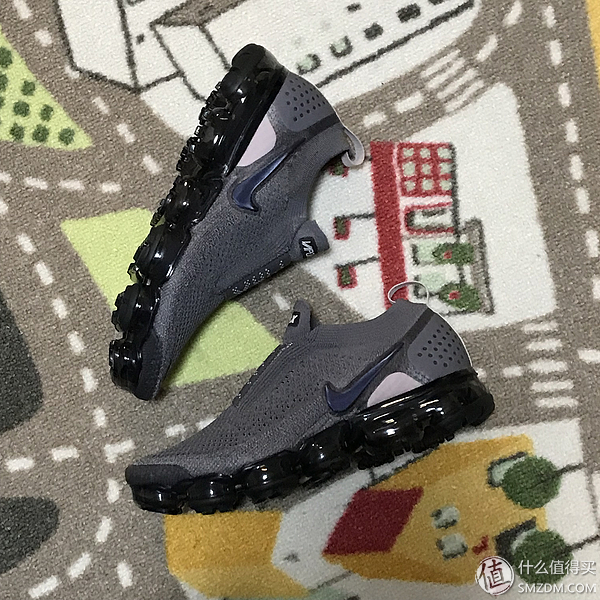 In the long-distance test of one and a half horses, we obviously felt the obvious difference of the support of Air VaporMax with the change of distance. 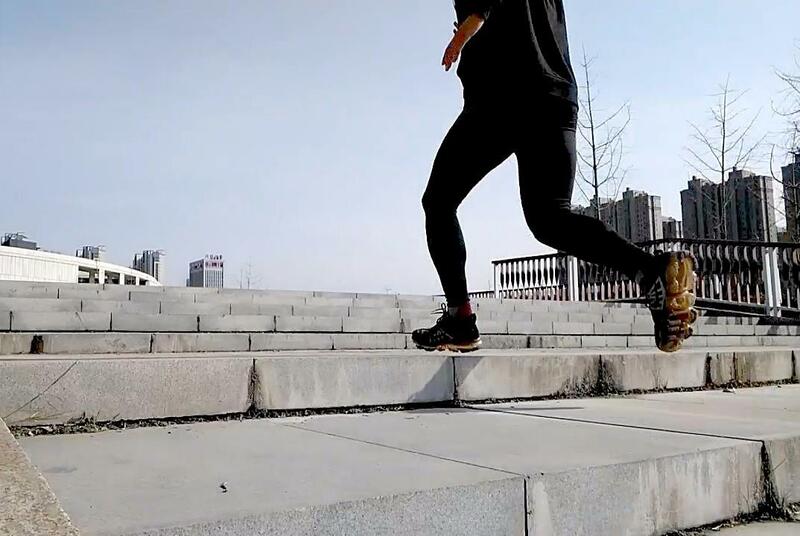 This support is the strongest and appropriate in the stage of 5km~12km, but after 12km, The effect of the support begins to decay, and the relatively independent air cushion also begins to have some unstable feelings. 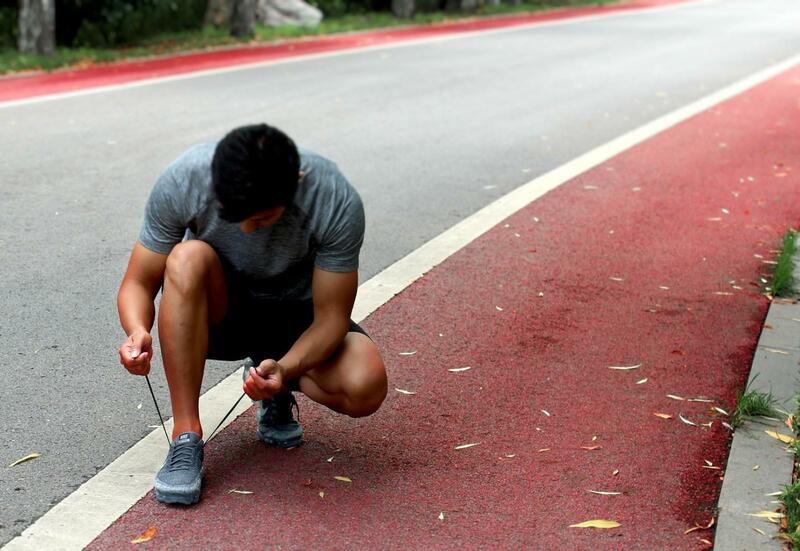 Especially for the runners who are used to the forefoot running, the feeling of the forefoot will become somewhat unassuming and elusive. The stability also has a certain degree of decline.. 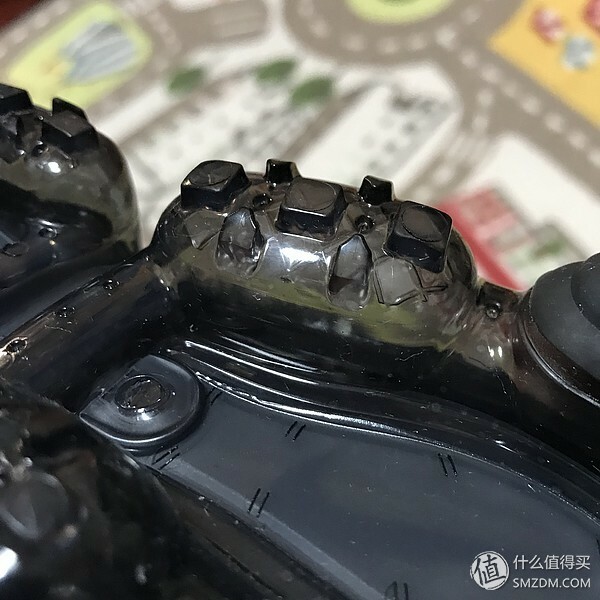 The outer bottom of the VaporMax air cushion is a very hard friction granule. These parts that are directly in contact with the ground have superior wear resistance. 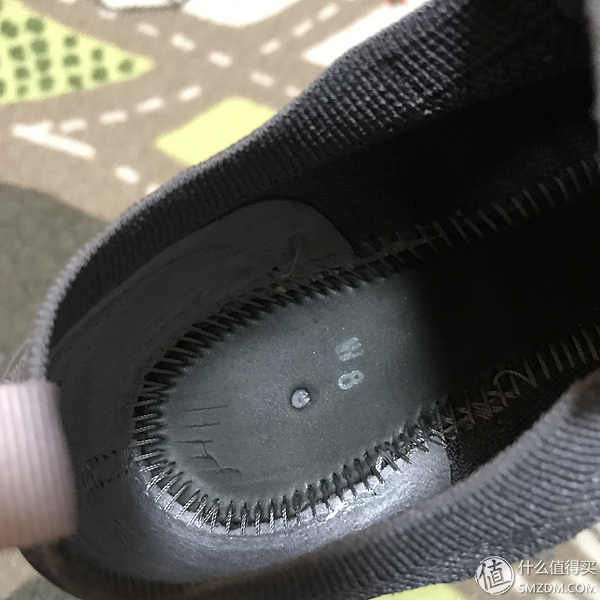 From the wear level of the sole after 100 km, it can be seen that there is almost no outer bottom part of the sole. damage. 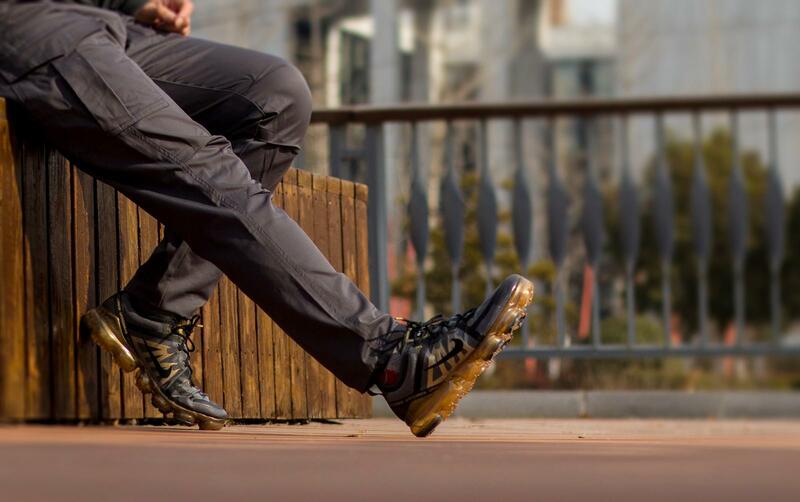 However, this sturdy outsole will also bring another hidden danger. 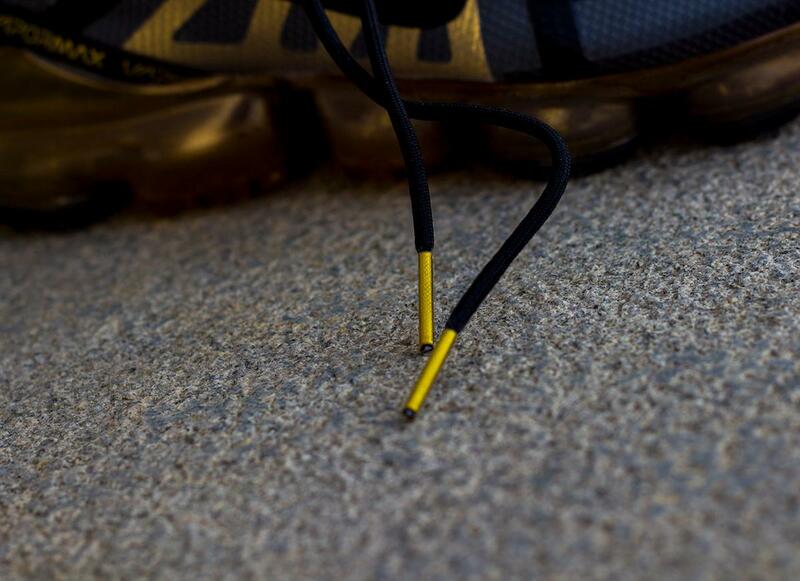 The too hard outsole will directly affect the grip of the running shoes on the slippery ground. 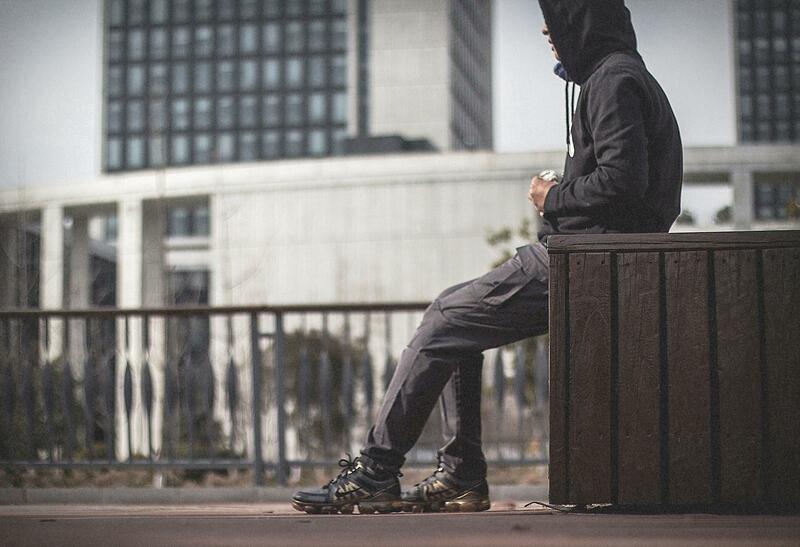 If it is raining, it is recommended to wear it carefully. 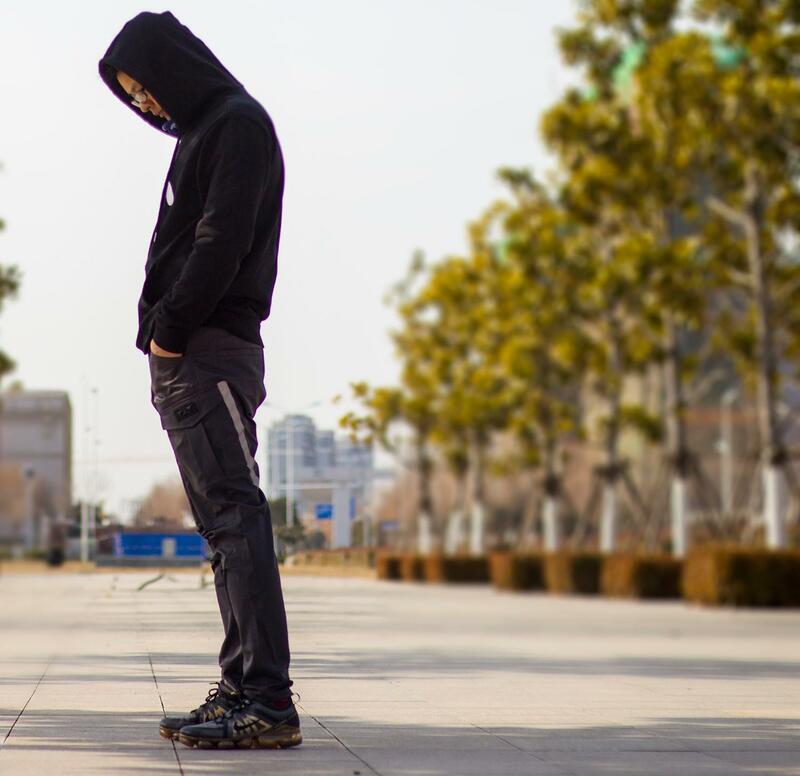 The first thing I noticed when I put the shoes on was how comfortable they felt. I took a few bounces in them, and was also impressed by their light-as-a-feather feel. 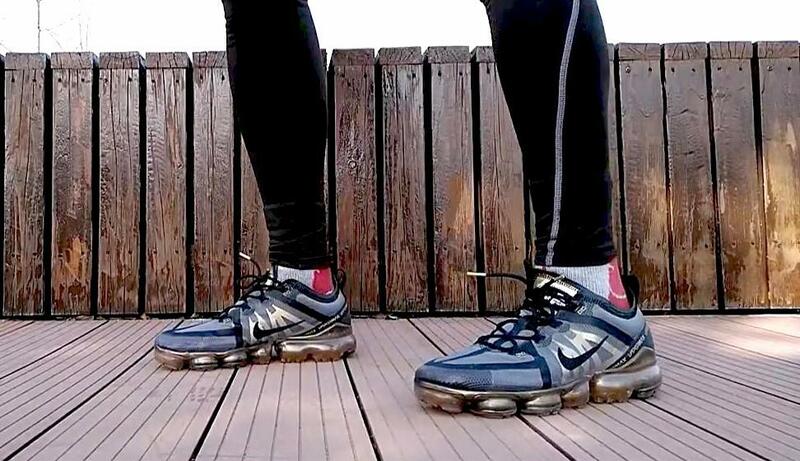 As I started my run, I was amazed by how bouncy they felt—it was as though I had lined up a bunch of trampolines and leapt from one to the next. Another standout feature: the grip. 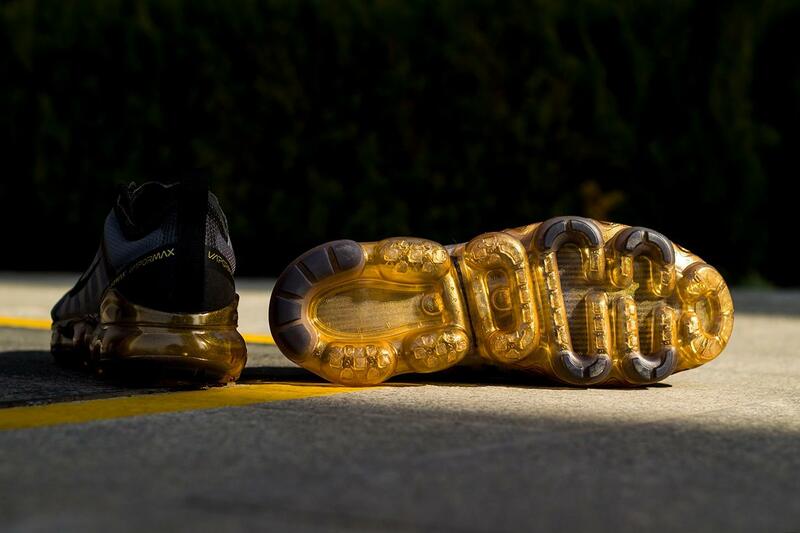 Surprisingly, those air bags on the soles really grab the ground. 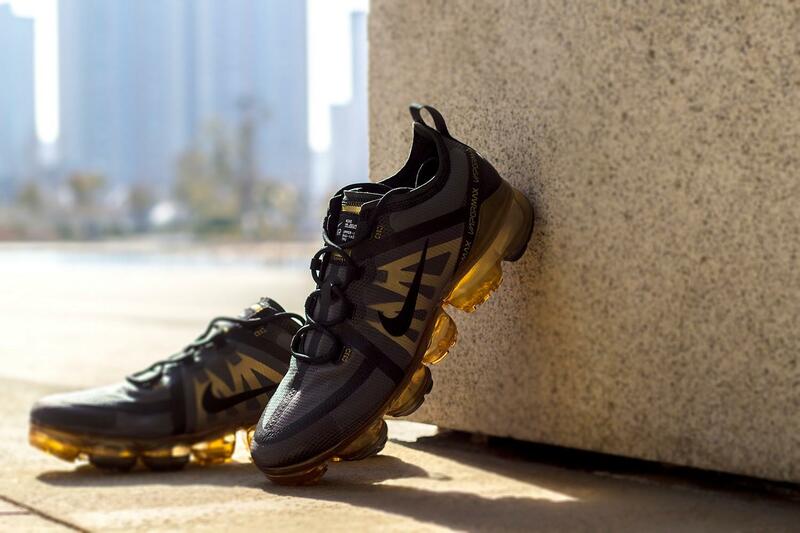 Nike has retooled and reimagined the innovative design, releasing dozens of versions of the now-iconic shoe that’s beloved by sneakerheads and athletes alike. 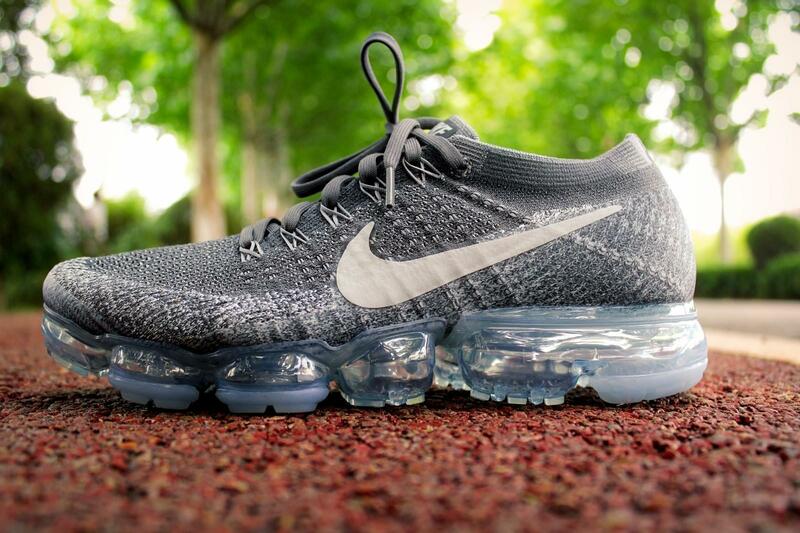 A variety of new Air Max shoes are now available on Nike.com, and on March 25—one day before Air Max Day—Nike will release a running shoe called the Air VaporMax.